This level of certification gives our clients the confidence that you are working with highly trained professionals. 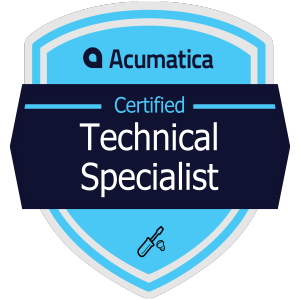 Members of our team have earned each of the certification badges below. Each badge represents a significant amount of study and completed exams. For salespeople managing the overall execution of the sales cycle. For pre-sale engineers who articulate the Acumatica value to both business and technical users. 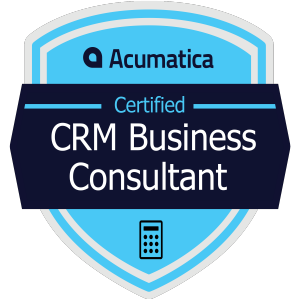 For business consultants or CPAs responsible for configuring and implementing new Acumatica customers. 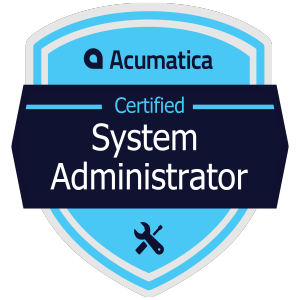 For information technology resources who will install and maintain the Acumatica application and manage user security. 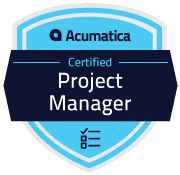 For project implementation managers leading a team through the complete ERP implementation life cycle. For business consultants or application engineers with a deep understanding of two or more areas of Acumatica expertise. The Business Consultant badge is required prior to earning this badge. The Project Accounting Business Consultant Badge is a new badge. Previously this skill set was included as a competency as part of the Advanced Business Consultant Badge. 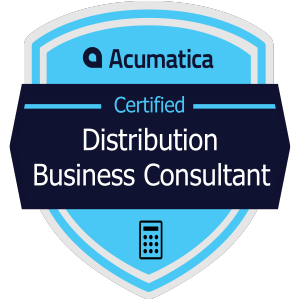 For business consultants who implement distribution solutions for customers or need to learn distribution processes for field services, commerce edition, or manufacturing deployments. For business consultants who implement customer relationship management (CRM) solutions for customers. CAL Business Solutions is proud to have achieved the Gold level for the Microsoft ERP (Enterprise Resource Planning) competency. We have proven customers references and the required exams/certification to demonstrate our deep product knowledge. If you are looking for an ERP software partner with a proven track record contact CAL Business Solutions. sales@calszone.com or 860-485-0910 x4. Review our customer case studies. "CAL Business Solutions has done a wonderful job. CAL has a passion for the application itself and brings that passion to the customer. CAL Business Solutions absolutely had the project done on time and on budget and it worked out perfectly."